Photography is all about telling a story through the use of visuals. The same is true for photography logos also. Being a business symbol, the logo creates a visual representation of strength and values of a brand. But few photography logos become much more than a business symbol only. Such remarkable logos inspire us due to their unique design concepts. When it comes to professional photography, the term aesthetic appears more generic since photography is nothing but an art. Over the years, artistic visuals have gained momentum in almost all fields. This paved the way for their use in a wide range of graphic designs. As a result, there are many aesthetic wordpress photography themes and templates available online to the users. A photography logo should be able to communicate with its audience. The logo should be clear. One of the top qualities of a great logo is that it is a memorable design. It must be a visually appealing design. Most importantly, a logo designer must know how to design with emotion. Do not forget that emotional response is essential in building a relationship. This is true for making personal as well as business relationship. 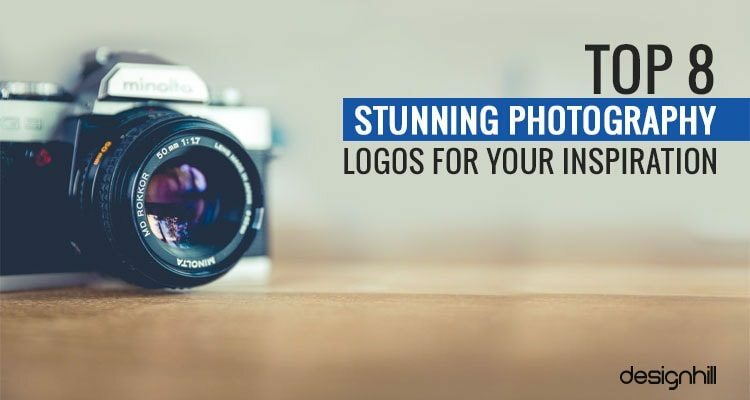 So, check out if your existing photography logo design is good enough to make an emotional connection with your target customers. If not, then you should consider redesigning it. 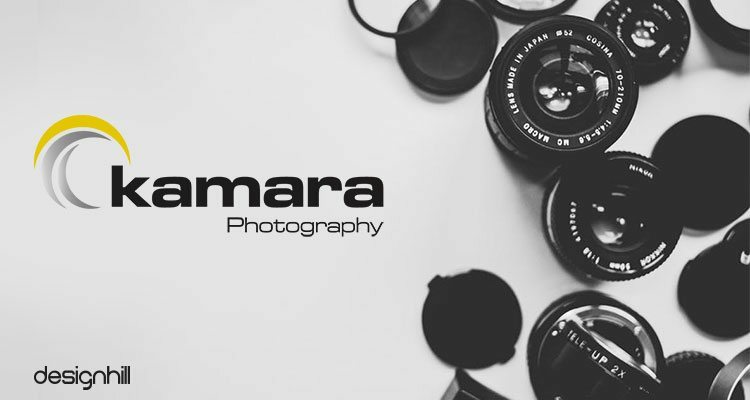 Kamara Photography logo design in twin colors is really amazing! The logo designer has deliberately kept things subtle and yet has achieved success in delivering the essence of exceptional photography services. The use of yellow color gives the logo its identity. People can identify this logo easily due to the color, which dominates the design. Looking for a Photography design? Trina Koster Photography logo portrays the subtle image of 3 girls holding the camera, exposure meter and flash lamp summarizes firm’s specialty in the photography arena worldwide. This logo is unique for its use of girls showing their eagerness to click pictures. 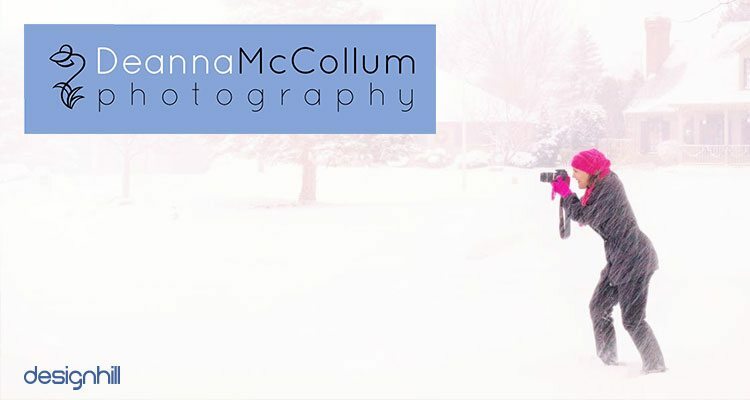 The color scheme including pink and black color clearly indicates that Trina and her dynamic team of photographers specializing in weddings, events and portrait photography. 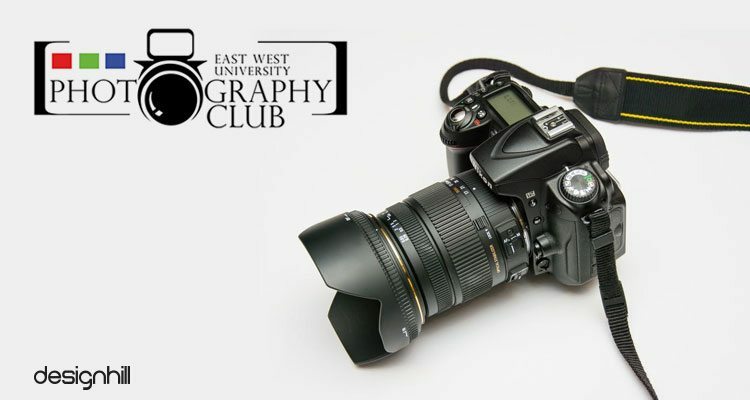 East West University Photography Club’s brilliant camera shaped logo is one design that never fails to inspire. With three boxes of red, green and blue, the designer has essentially incorporated the RGB color scheme in the color palette. The right color scheme is one of the basic principles of logo design. Moreover, the letter ‘O’ of photo has been illustrated as the camera lens. No wonder, this brilliant logo has long been an inspiration for many. 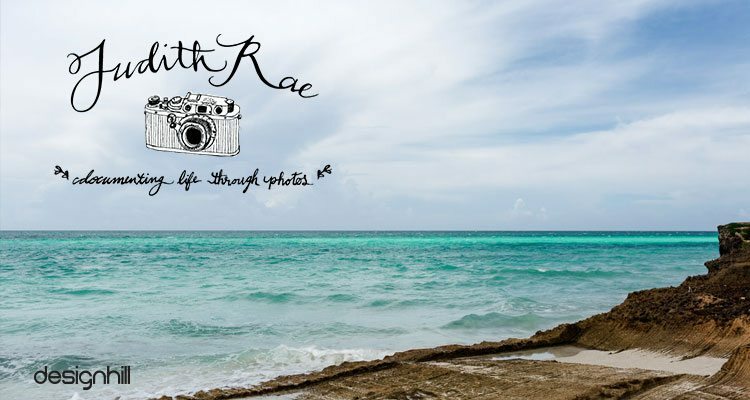 Judith Rae specialises in wedding photographyand her company’s vintage camera shaped logo reflects how she and her team can make one’s wedding grand and classic. In addition, the use of fancy, handwritten fonts further adds glittering stars to the overall appeal of this effectively creative logo. There is a touch of classic lettering in this logo. This is for giving credibility to the company’s photography business. 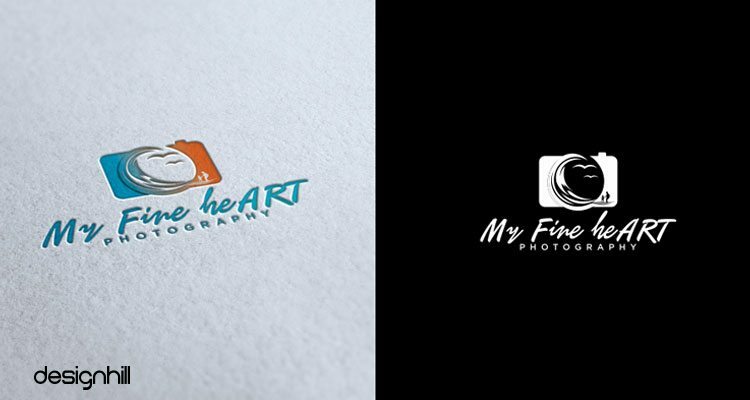 Undoubtedly, this photography logo design is a stroke of a masterpiece! 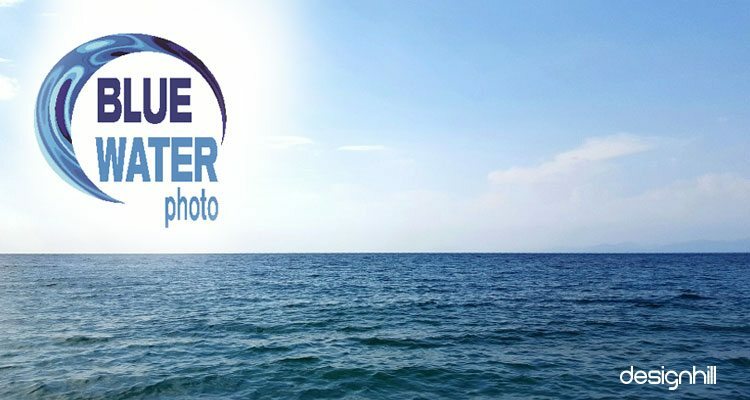 Bluewater Photo is a popular underwater camera store and what could have been a better way than to surround the company name with a whirl of sparkling blue water, glorified with a tint of purple. Note that the designer has used blue color in its shades to break the monotony. It is advisable that graphic designers should use one or two colors only for simplicity of the design. This logo spells out the artistic creativity and leaves onlookers mesmerized. A unique business logo helps the growth of a brand. Simple and aesthetic logo design of Deanna McCollum Photography entangles the flower petals and the grass beneath in a string form. This symbolizes that they deal with wedding and family photography. In addition, the simple color scheme and fonts add to the glitter of this superb logo design. This versatile logo design can easily fit everywhere due to its simplicity of design and use of one main color. Luna Curran’s Photography has an artistically spelled initial of the company which truly reflects the creative potential of the team. In addition, the camera shaped ‘O’ in the word ‘Photography’ further add to its appeal. This brilliantly conceptualized and crafted logo is certainly praiseworthy. No wonder, it makes to our handpicked list of some of the world’s best photography designs. If you are looking for an impressive logo design for your company, then crowdsourcing is your one of the best options. Designhill is a leading crowdsourcing marketplace for business owners. This site allows you to launch your logo design contest for hundreds of talented graphic designers. Shortly, they will submit their unique logo concepts and you can choose the one that suits best to your business needs. The site offers 100% Money Back Guarantee, in case you do not like the submitted designs. 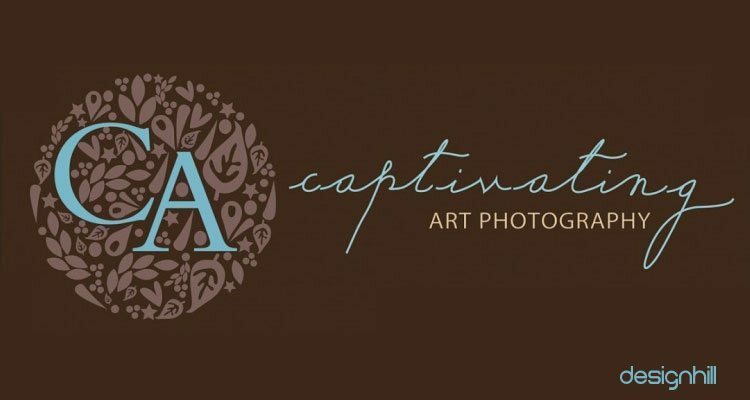 Art comes in many forms and Captivating Art Photography’s exceptional logo captures the very essence of designing art. The initials ‘C’ and ‘A’ are beautifully placed inside a circle of various floral patterns and unfailingly emits an aesthetic appeal. You can also note the lettering, which has a classical tone. The designer chooses handwritten letters to give authenticity to the business. Two contrasting colors draw the attention of viewers instantly to the logo. Quite expectedly, this logo impresses and inspires with its aesthetic perfection. You must consider the aesthetics of design as one of the key tips to create business logos. These surely are inspirational logo designs. But Designhill platform has also many logos to contribute to this list. Hundreds of talented logo designers created many photography logos for clients. We present two such logos here for your inspiration. 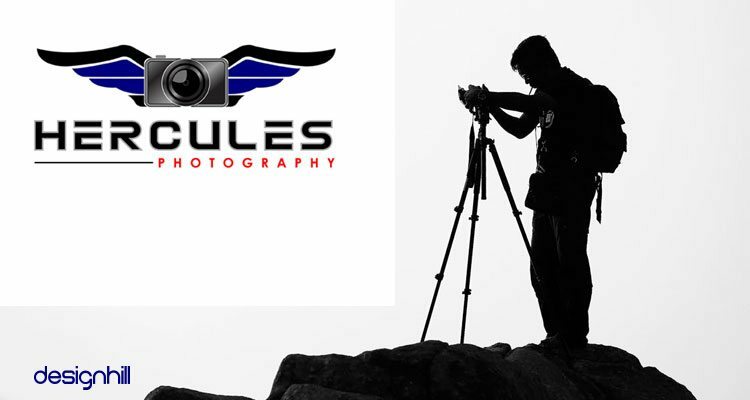 In the logo of Hercules photography, we can see the use of bright colors. The logo contains a camera with spread wings attached to it which is symbolic of capturing every moment in the camera to create a beautiful memory. Not only the font used in this design is amazing, but also the image used has so many beautiful element. In the image one can see a multicolored camera and the lens of the camera shows sea waves, birds and a family. This symbolises the photography services being available for families on vacation which would be a major target audience for My Fine Heart Photography. 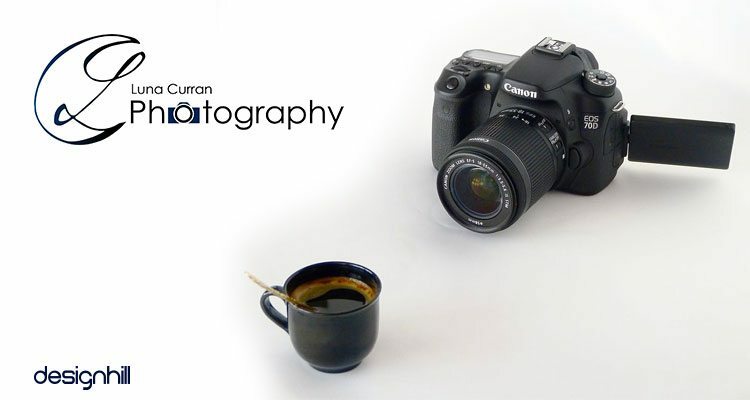 Photography logos are visuals that represent a photography company’s business. To convey a brand message effectively, the logo design must stand out with unique concepts and should avoid all cliched elements such as a camera. The color scheme and other elements must be carefully picked up by the logo designer.